Notwithstanding the repeated protest of the Parent Theosophical Society, there does yet seem to linger in the minds of individual members and of some Branches, a tendency to look upon the whole movement as a school where Yoga Vidya and Occultism may be learnt in a much more expeditious and easy way than heretofore. This arises out of an ignorance of the laws of Occult Institutions and those governing psychological development. Since the commencement, the Theosophical Society has tried to impress the fact that the Laws of Nature are immutable; and no living being, however high and powerful, can ever alter them to suit the convenience of students. 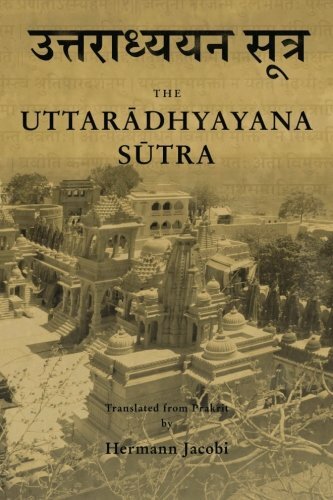 The attempt, therefore, which is now being made is not to carry on the vain and profitless task of finding a short cut to Brahma Vidya, since this is an impossibility, but to revive once more its knowledge, and thus to stimulate a true aspirant to adapt his life and thoughts to that standard which will better him and lead him gradually to such ways as run their courses to the Divine Wisdom. It will thus be seen that the Theosophical Society promises no Teachers, no Gurus, to take every member, upon joining, under their special charge. Mr. Sinnett was distinctly warned on this point when he asked for the assistance of some adept as the guiding genius of the Simla Eclectic Theo. Socy., as will be seen on reference to his Occult World. No doubt there are individual members who have been fortunate enough to be accepted as Chelas, but their acceptance was due not to the fact of their being Fellows, but because they had been living the life and have voluntarily passed through the training and tests, enjoined upon aspirants for occult knowledge of every age and nationality. In their case the Theosophical Society was only the means of giving them the conviction of their intuitive beliefs, and thus urging them to follow the promptings of their inner consciousness. For the comparatively easy mode they thus had of gaining the conviction, they have to make up by helping the building up of the Theosophical Society and putting it on a secure basis. This explanation ought to make it clear that what the Society expects from all its Branches and individual members, is cooperation and help in its grand task of uniting the East and the West, the North and the South, in a Scientific Brotherhood armed against dissension and consequent failure by the principle of mutual Toleration and mutual Intellectual Sympathy. It is an unthinkable proposition that any man with average intelligence cannot contribute his quota towards the realization of this noble scheme. If each man were but to do his duty to search, to investigate, to study, to digest, and join with his fellow-men, actuated by the same noble aspirations, in giving to mankind the benefits of their labour, the day would not be very far off when the Masters of Occultism might find the necessary conditions to enable them to once more live in the world as openly and freely as did their predecessors of times long, long gone by, and give to such a prepared people the benefits of THEIR knowledge. Until that blessed day comes, a duty is before us: we have to hasten its approach. And this cannot be done by merely joining the Theosophical Society and without preparation, training or qualifications, expecting the Adepts to place within our reach tremendous weapons of Power, FOR KNOWLEDGE IS POWER, which in the hands of the ignorant and the wicked is fraught with dangers to their holders and to Humanity at large. Enough has already been given out to bring home to any one, endowed with ordinary intelligence, fairness, and desire for knowledge—conviction of the truth of this Science and the Powers it confers upon its devotees. When once all this is clearly understood, the only question for solution is how best to promote the Cause, and thus by an unselfish effort for the good of our fellow-men and their regeneration, to fit ourselves for the higher life of a true co-worker with those who have devoted themselves to the amelioration of the moral and spiritual condition of Humanity. There are various ways of accomplishing this result, but as one man’s meat is another man’s poison, the Parent Theosophical Society has always endeavoured to leave the practical working of its Branches to their members, who are, or should be, the best judges of the circumstances they have to work under, and the material that can be utilized. Psychology is a vast field wherein many workers may employ themselves with advantage. The tastes of individuals must differ, but surely there can be found two or three in every Branch interested in the same subject. If a Branch divides itself into various Committees for the investigation of various subjects of Science, and communicates its results at general meetings, much good will ensue. Various articles in the Theosophist and other publications of the like nature might be taken up by different members, and the Society given the benefit of every individual exertion. Knotty questions arising out of such studies might be referred to the Head-quarters in the form of an article, or in any other shape which may be found best under the circumstances. Every legitimate demand for help and assistance has been, and will always be, granted by the Founders to their co-workers in this cause of Humanity. Several other matters of Reform might be undertaken by other Committees, without, of course, infringing upon any individual’s or people’s religious or social right. For those who are capable of an unselfish impulse to work for the moral and spiritual regeneration of Humanity, there is plenty to do. And it is men of this stamp that are the pillars of such a grand movement, which must necessarily depend upon their cooperation and zeal for its success. These are the lines upon which Branches are expected to be organised and worked. Since the commencement, the Theosophical Society has tried to impress the fact that the Laws of Nature are immutable; and no living being, however high or powerful, can ever alter them to suit the convenience of students. . . . It will thus be seen that the Theosophical Society promises no Teachers, no Gurus, to take every member, upon joining, under their special charge. . . . No doubt there are individual members who have been fortunate enough to be accepted as Chelas, but their acceptance was due not to the fact of their being Fellows, but because they have been living the life and have voluntarily passed through the training and tests, enjoined upon aspirants for occult knowledge of every age and nationality. One’s own Karma is the essence irrespectively of his connection or non-connection with the Theosophical Society—in other words, all depends upon one’s living the life enjoined upon aspirants for occult knowledge. The act of joining the Society is immaterial inasmuch as the life being an essential thing, fellowship in the Society carries no weight with it. The Society thus confers no benefit as a prerequisite on its members, in addition to the result of their own Karma. This being so, a Theosophist and an outsider stand upon the same footing; hence no one should join the Society. It is true that living the life is essential—but the life lived by a Fellow of the Theosophical Society has an advantage over that lived by an outsider. A fellow, by the act of joining, places himself in a position wherein the essential qualification can immediately and directly attract the notice of the MAHATMAS. A Theosophist has to exert less in point of attractive force than an outsider, for the latter is not so near the MAHATMAS as the former. Both of them do not therefore stand upon the same footing. All that the passage in the Memo. on the Work of the Branches meant to convey was that the Theosophical Society was not an improved sort of Miracle Club or School of Magic wherein for ten rupees (or any sum whatever) a man could become a Mahatma between the morning bath and the evening meal; but that in addition to merely joining the Society, a man should live the requisite life and wait patiently for the results which will come in due time. The Pandit’s reply is correct so far as it goes, but it is incomplete. It does not give the reasons why a Theosophist is nearer to the MASTERS than an outsider. It also omits certain other important considerations. With a view to avoid any further misunderstanding, I shall go a little fuller into the subject, being at the same time as brief and concise as possible. If the critics had read carefully the whole of the memo. and digested it thoroughly, they would probably have not been led into such curious conclusions as they now put forth. It is admitted that the Theosophical Society has been engaged in doing good, with unparalleled success, to Humanity; that, had it not been for its exertions, people would have gone in their own ways as heretofore, would have paid no attention to the writings of the ancient sages and would have remained in entire ignorance of the glorious truths contained therein, not because they could not have been found if properly searched into, but because the earnest spirit of enquiry which has now been raised could never have asserted itself. It is therefore a duty we owe to the Theosophical Society to encourage and support it by all possible means, if we have the least sense of gratitude within us. Moreover, it is within almost every one’s mouth that more and more important facts of the Esoteric Philosophy are being gradually given out through the instrumentality of the Theosophical Society. Have the critics reflected to what causes this fact is due? It is because the leaders and promoters of the Association find that their labour is not being thrown entirely upon barren ground, but that their work is being more and more appreciated, as is proved by important additions to its ranks; they thus feel encouraged to continue their arduous task more and more cheerfully. But let it be once proven that the work has created no interest, and that those for whom exertions are being made prefer to stubbornly remain blind to all higher considerations, and the theosophical leaders will be compelled to drop the work in spite of themselves. Is not the fact that the moral if not the active support given by people to the Society by joining it acts as a stimulant for renewed work—is not this fact a sufficient inducement for right thinking men not to keep aloof from the movement? Again, the Theosophical Society being a Universal Brotherhood embraces all Humanity: as such it may very well be recognized as one complete organism. All its doings are its Karma. And just as the different organs derive nourishment from the joint work of the whole body; so also each member of this huge organism has a part of its nourishment from the accumulated store of the Karma of the Theosophical Society as a whole. And who will dispute the fact that that Association has been acquiring an immense amount of good Karma by its beneficent work of increasing human happiness by promoting knowledge and by uniting together different people into one bond of an Intellectual Brotherhood? Still further: it is a well-recognized principle that Union is Strength; and therefore if any Association could afford large opportunities for doing good, it is the Theosophical Society. Selfishness having sealed the eyes of the critics to the fact that they form but a part of the INTEGRAL WHOLE, they fail to perceive that the good of their Fellowmen is their own good. The cloud of self-benefit darkens their mental horizon, through which their sight cannot pierce to have a glance at the future results of their attitude. They see no superior advantage within the narrow range of their vision, and therefore they conclude no such advantage exists. They cannot understand that of all the Associations now existing in the world, the Theosophical Society is the only one that can be employed to the best advantage for promoting human happiness by bringing people to realize the common foundation of all Religions. And that the Illuminated have therefore adopted it as the channel of communication between themselves and the outer world. As such, it forms the centre of light, and he who steps into its sphere from the outer darkness, comes within the radius of vision of the BLESSED ONES. To advance further depends upon his active goodness and work. By joining he has got his reward of giving an expression to his sympathy and thus affording moral support—and that reward is that he puts himself in a prominent position whence he can be more easily perceived than those who prefer to remain in the outer darkness. Joint Recording Secretary, Theosophical Society.